Are you still full from your Thanksgiving feast?! We are in the swing of the holiday season, and no matter what you celebrate, you are probably going to be eating a ton (which is never a bad thing!!). If you are looking for full flavor options that won't make you feel awful, Mesero has you covered! We have five amazingly delicious and tasty salads that are so packed with flavor, you might even forget that you are eating a salad! Although salad might not be the first thing that comes to mind when you think of Mesero, it might be after you first try any of our salads! Time and again we hear from our amazing customers that they are not only hooked on one of our salads, but they crave it! 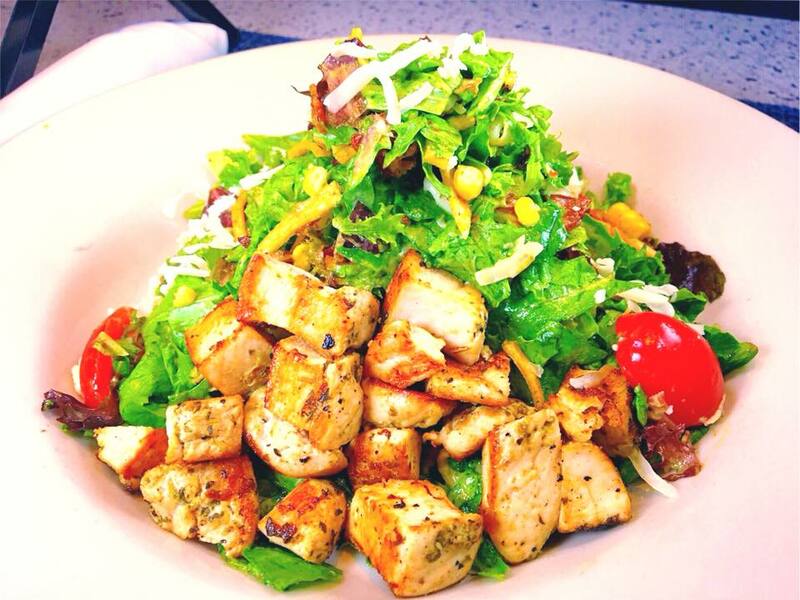 That’s right—here at Mesero, we make salads that you will crave! One of our go-to salads is our Cazera. It is loaded with delicious flavors and textures, and it all starts on a bed of romaine lettuce and mixed greens. And now we add the flavor: Applewood smoked bacon, red onion, heirloom tomatoes, roasted corn, queso de Oaxaca, tortilla strips, and an avocado vinaigrette. Seriously, we pack all of that into one salad—you’re welcome! Another favorite is our Del Corazon salad—and again, we pack it with flavor! This time, we start with bib lettuce and add: hearts of palm, avocado, heirloom grape tomatoes, and a delicious house-made vinaigrette! Honestly, you could put our vinaigrette on a shoe and you would eat it—it really is that good! An interesting (and delicious) take on a salad is our Baby Kale. It has: quinoa, spring onion, yellow beet, golden raisins, candied pecans, golden and red pear tomatoes, cilantro, queso de Oaxaca, and a lemon vinaigrette! It has the right flavors of sweet and tangy and the right textures of crunchy and soft—it is seriously a home run! If you are looking for an elevated flavor profile in your salad—well then you have to get the Campesina! We start this salad off with nutty baby arugula and then add: golden and red beets, toasted pecans, caramelized pears, black-peppered goat cheese, and a balsamic vinaigrette. Seriously, words cannot describe how amazing this salad is—so you will just have to join us and try it for yourself! Last, and certainly not least, we have our La Bianca salad. We start this salad off with baby kale, and it only gets better from there! We add: golden and red pear tomatoes, mushrooms, fennel, quinoa, yellow raisins, toasted pecans, and a balsamic vinaigrette! We promise you, you will be hooked on La Bianca! These salads are the perfect light, yet flavorful meal, to add to your life! Join us at any of our Mesero locations to fall in love with any (and all!!) of our salads!